Choose from a selection of 18 holiday rentals in Heeze-Leende. Use the search form to the left to filter the results and pick your choice of self catering accommodation in Heeze-Leende. We have a good selection of holiday apartments in Heeze-Leende perfect for family, single, romantic and group holidays. You may prefer to take a look at our listed holiday villas in Heeze-Leende or holiday apartments in Heeze-Leende. Find your holiday homes by a specific type using the property type drop down in the filter. Filter the holiday homes in Heeze-Leende by a specific area using the area list above. 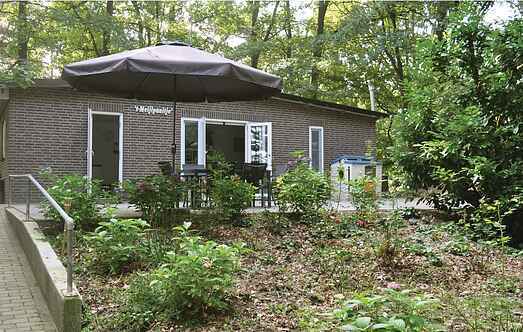 This charming holiday home in Leende offers everything for a comfortable spa holiday in Brabant. This dreamlike holiday home with panoramic view over the meadows has its own activity room and is thus ideal for the whole family. Enjoy with family and friends a magnificent view over the meadows in this well furnished holiday home on the outskirts of a picturesque village in the province of Brabant. In this stunning country house with swimming pool you will experience how wonderful it is to spend your holidays on a private estate with a huge garden and a large wooded area.